In the mid 19th century there were 88 licensed distilleries on the island of Ireland. By the mid 1980s there were only 2. By 2013, there were 4. Since then, there has been a massive resurgence and by the end of 2014 there were 8 operating distilleries. Last count was 15, with many more planned, as seen from the map below provided by the newly formed Irish Whiskey Association. Irish whiskey is now the fastest growing spirits category in the world and we're delighted that the future of Irish whiskey is bright! 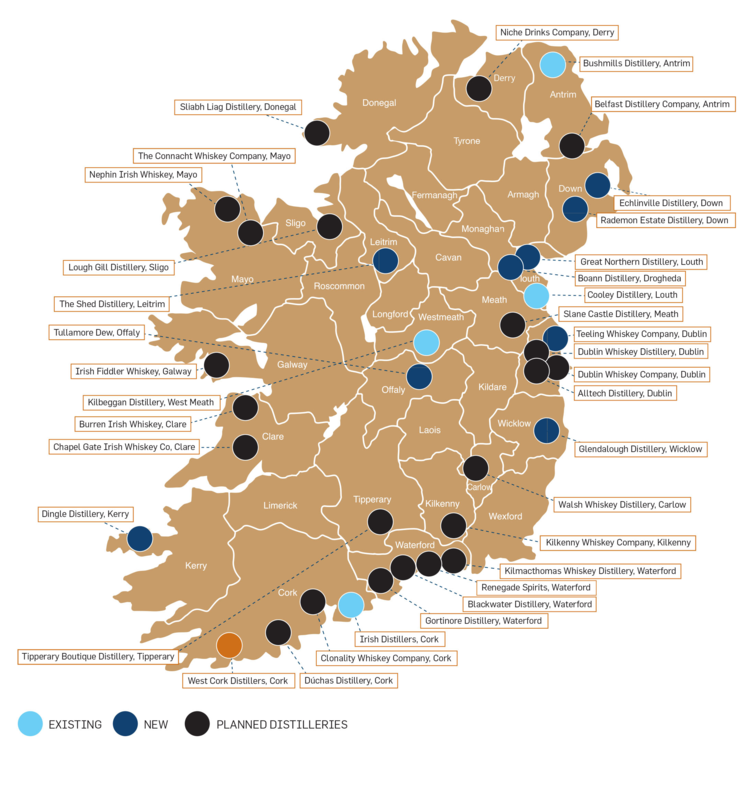 While the landscape of whiskey distilleries is ever-changing, we endeavour to keep our map up-to-date with the active whiskey distilleries - spirit currently flowing and being laid down for maturation for whiskey.